Automechanika Dubai opened its doors for the 16 edition for more than 2000 exhibitors from 58 countries and welcomed more than 30,000 trade visitors from across 136 countries between 1-3 May 2018. 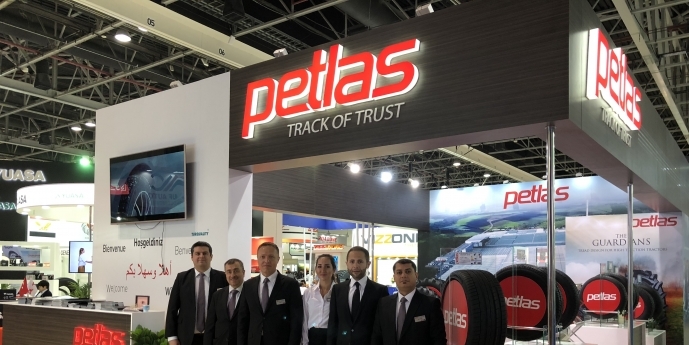 In this very important trade platform, amongst the top 100 companies in Turkey, Petlas Tire Corp. has opened its booth at Sheikh Saeed 1 / B12 and has displayed tires from PCR-4x4, SUV-LTR-TBR-AGRICULTURAL and MILITARY ranges. Petlas Tire Corp. sees Automechanica trade show as an important platform to introduce new tires and to build new business connections with traders coming from Middle East and North Africa. As, Petlas Tire Corp. is working to increase its operations in these regions. Petlas Tire Corp. is thankful to all visitors and business partners who visited the booth. As Petlas Tire Corp. we are very proud to represent our country successfully in this global trade platform and looking forward for participating in other global fair events in the near future. Stay tuned!